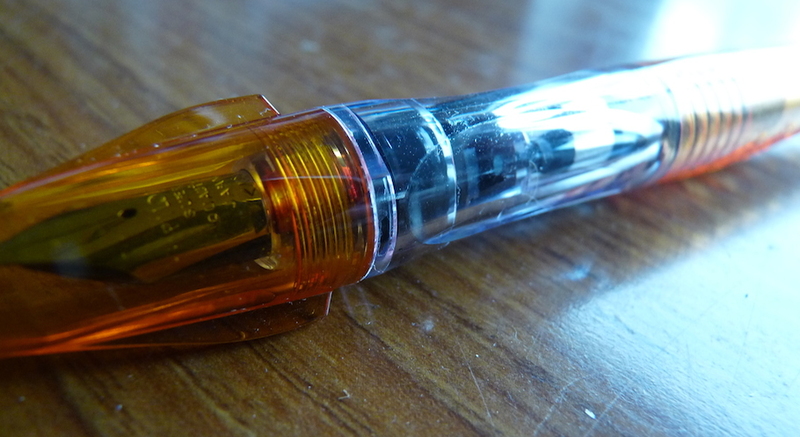 Pilot Plumix fountain pen review – Pens! Paper! Pencils! 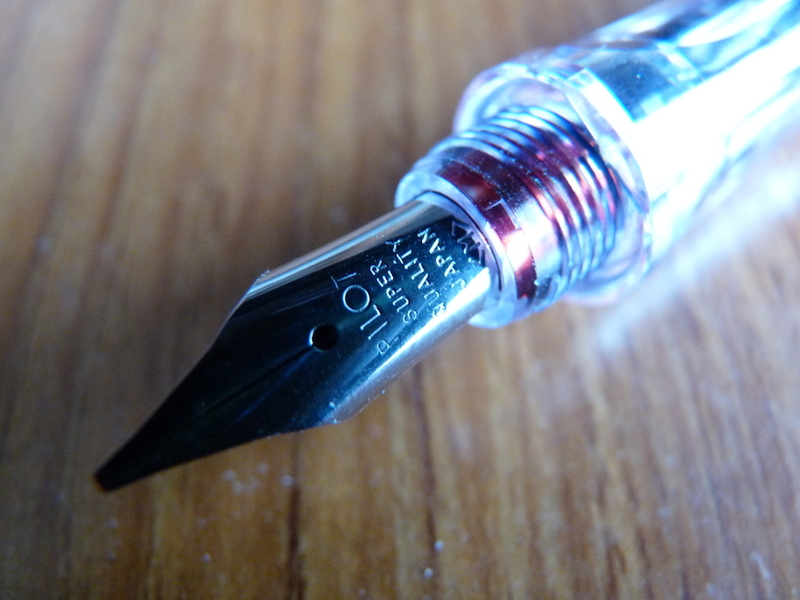 The Pilot Plumix is a very cheap fountain pen that is only available with a medium italic nib. I don’t get on too well with italic nibs but I’ve found this one to be smooth, though firm, and typical of the high quality of Pilot nibs even in this price range. 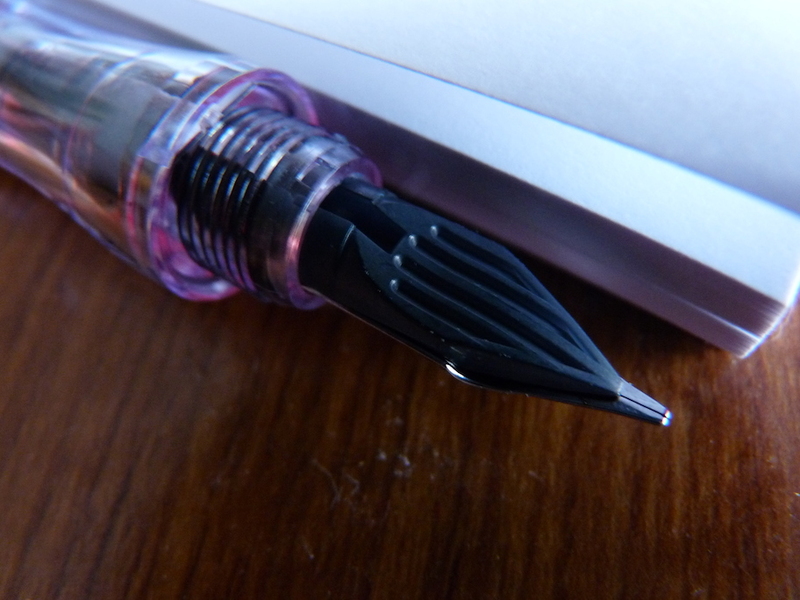 The section is contoured a little like a Lamy Safari, only not as wide, and is very comfortable to hold. Of course it may be an issue if you don’t like your pen to dictate how you should grip it. I picked up this pen in France, in a supermarket, and was drawn to it initially because it takes standard international cartridges, which is very unusual for Pilot pens. However it seems as if this isn’t always the case and many that I’ve seen for sale online take the usual proprietary Pilot cartridge instead. The style (and name) evokes old-fashioned quills but this pen glories in its plasticness. It’s clearly very modern, it revels in it, yet makes you think of writing with a feather. Very clever. For the price this is a fantastic pen. It’s worth shopping around as I’ve seen them for all kinds of different prices. It’s also worth looking for one that takes standard cartridges, although that shouldn’t put you off if you can’t find any. It’s a lovely pen. 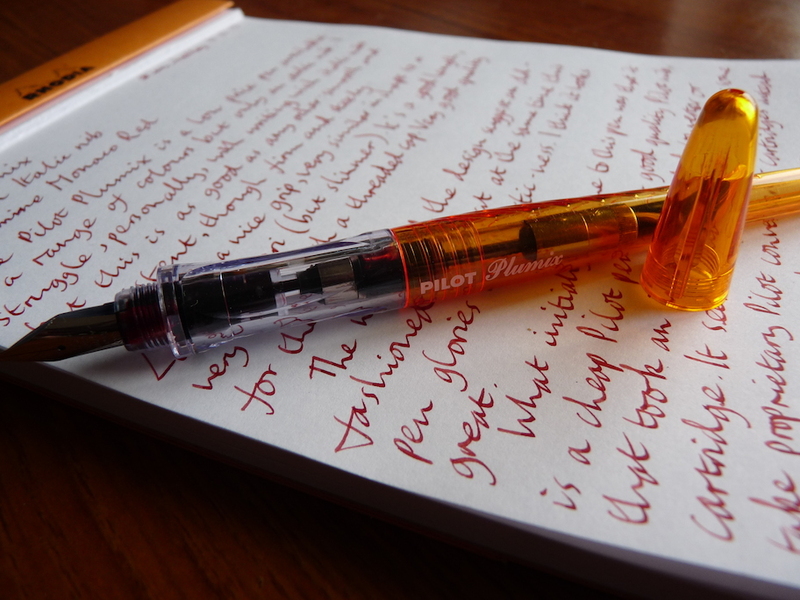 Thanks to Informal Scribble for the sample of Diamine Monaco Red! Lovely colour. I actually bought it in a Super-U supermarket in France. Maybe they’re only available in France? It’s rather strange. This is also unusual in that it takes standard cartridges not Pilot ones. So perhaps they’re a special edition for a limited market. If I’d known that at the time I’d have bought up a few of them! Oh, lucky you… 🙂 I should look for some french resident who will be so kind and buy it for me. But it is a little chance. Next time I’m there I’ll look out for them again. Won’t be for a while though, sadly! Wonderful review. I enjoyed the picture of your handwritten review — enjoy how the italic nib effected the script.